Four Ohio teenagers were charged with murder Tuesday in the death of a man who was in the passenger seat of a car when it was struck by a sandbag thrown from a bridge onto the interstate below, authorities said. The boys, whom NBC News isn't identifying because they are 13 and 14 years old and are being prosecuted in juvenile court, were charged with vehicular vandalism last week after Toledo police said they intentionally threw the sandbag and other items from the Indiana Avenue overpass onto Interstate 75 on Dec. 19. 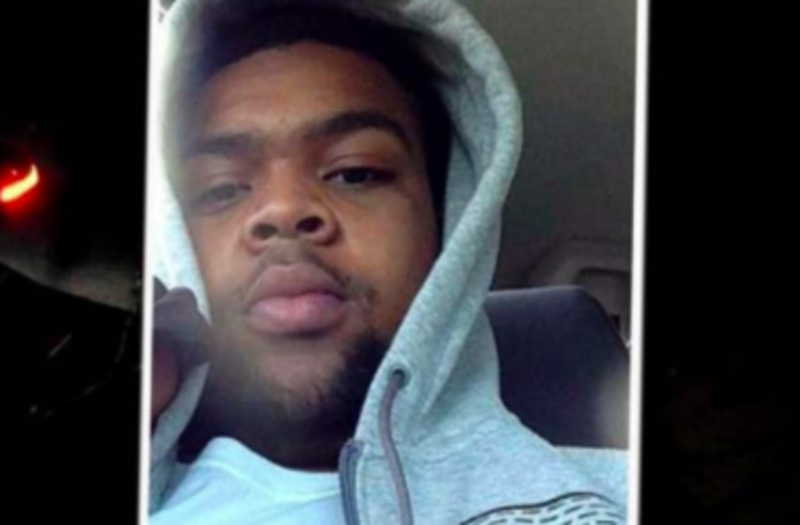 The victim, identified as Marquise Byrd, 22, of Warren, Michigan, died of his injuries on Friday, and the four suspects' charges were upgraded to murder, Toledo police Lt. Jeffrey Thieman said Tuesday. Byrd was traveling to meet friends in Toledo, The Toledo Blade reported. He was engaged and had a 1-year-old son, according to the paper. The driver, who wasn't seriously injured, frantically called 911. "I just pulled underneath the bridge, and something hit my car!" she said, according to a recording released by police. "It hit my friend, and he is not moving!" No agency maintains a comprehensive database of injuries or deaths caused by objects thrown onto roadways. But such incidents are not unheard of. In October, five teenagers were charged with second-degree murder in the death of a man who was a passenger in a van when its windshield was smashed by rocks thrown from a bridge — also over I-75 — in Flint, Michigan. The teenagers have all pleaded not guilty. Last year, the suicide of Randy Budd, whose wife was severely injured in a similar incident put the issue in the national spotlight. Budd, 55, of Unionville, Ohio, had become an advocate for protective fencing on highway overpasses after his wife, Sharon, suffered massive head injuries and lost an eye in 2014 when a five-pound rock tossed from an overpass south of Williamsport, Pennsylvania, crashed through the windshield of their Nissan Rogue. "Please get the fence issue settled," Budd texted to a Pennsylvania state senator shortly before he shot himself, the senator's spokesman told NBC News at the time.